You remember BigDog, don’t you? It’s that loud all-terrain prototype robot quadruped that peopled your dreams with Terminator-esque nightmares when you saw the video. DARPA just awarded a $32 million contract to build it. The contract’s been won by maker Boston Dynamics, which has just 30 months to turn the research prototype machines into a genuine load-toting, four-legged, semi-intelligent war robot–“first walk-out” of the newly-designated LS3 is scheduled in 2012. LS3 stands for Legged Squad Support System, and that pretty much sums up what the device is all about: It’s a semi-autonomous assistant designed to follow soldiers and Marines across the battlefield, carrying up to 400 pounds of gear and enough fuel to keep it going for 24 hours over a march of 20 miles. 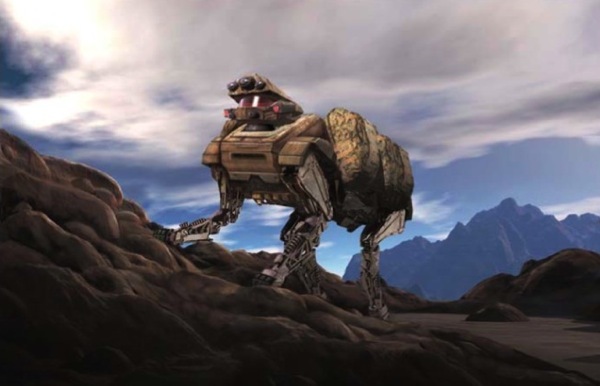 LS3 is a direct descendant of BigDog, and it’ll be battle-hardened and clever enough to use GPS and machine vision to either yomp along behind a pack of troops, or navigate its own way to a pre-programmed assembly point. Yup, that’s right, LS3 is smart enough to trot off over the horizon all on its lonesome. That opens up all sorts of amazing military possibilities, like resupply of materiel to troops who are deployed in difficult remote locations, as well as the standard “If LS3 can offload 50 pounds from the back of each soldier in a squad, it will reduce warfighter injuries and fatigue and increase the combat effectiveness of our troops” as described by BD’s president Marc Raibert. And its clear that these, and other, potential benefits have been proven to DARPA enough that it’s prepared to fund what seems to be an extremely future-focused piece of military hardware. But LS3, of course, stands for much more than its simple “squad support” label would suggest. It’s placing artificially-intelligent robots right next to soldiers on the battle field, which is a natural extension of the way robots are currently used in combat–essentially as smart remote control units for situations too dangerous for a human to risk. And in that sense, LS3 is a significant piece of kit. Because it won’t be too long before someone considers the benefits of replacing its 400-pound load with a heavy gun, and LS32 becomes an AI-equipped armed battlefield robot. More terminator-dog than K9, you see.